Football fans aren't famous for talking about their vulnerabilities or feelings, but at a time when suicide is the single highest cause of death among men under 45 in the UK, that needs to change. 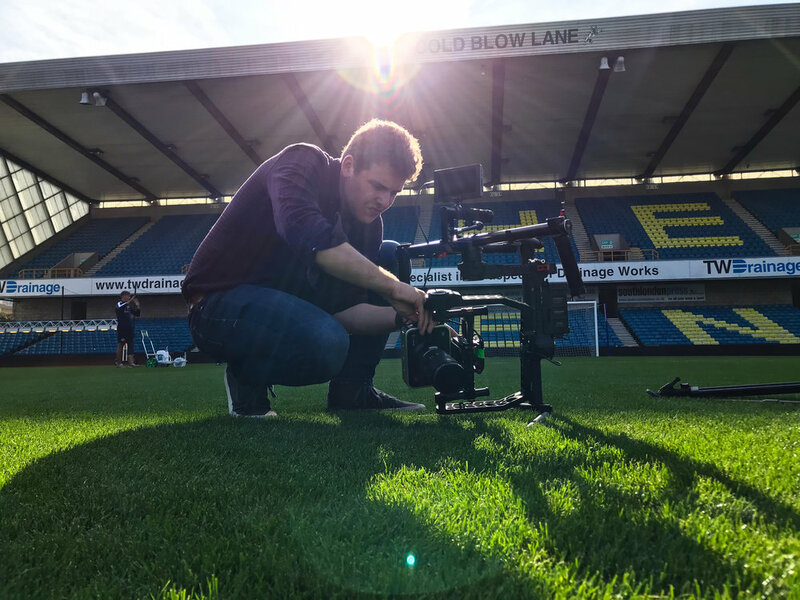 Lapse Film was commissioned by Our Design Agency to produce ‘On Your Side’, a short film announcing the launch of a game changing partnership between mental health charity Mind and the EFL. The film centres around a team of groundsmen prepping and painting pitch markings, finally revealing the Mind logo which has replaced the centre mark. 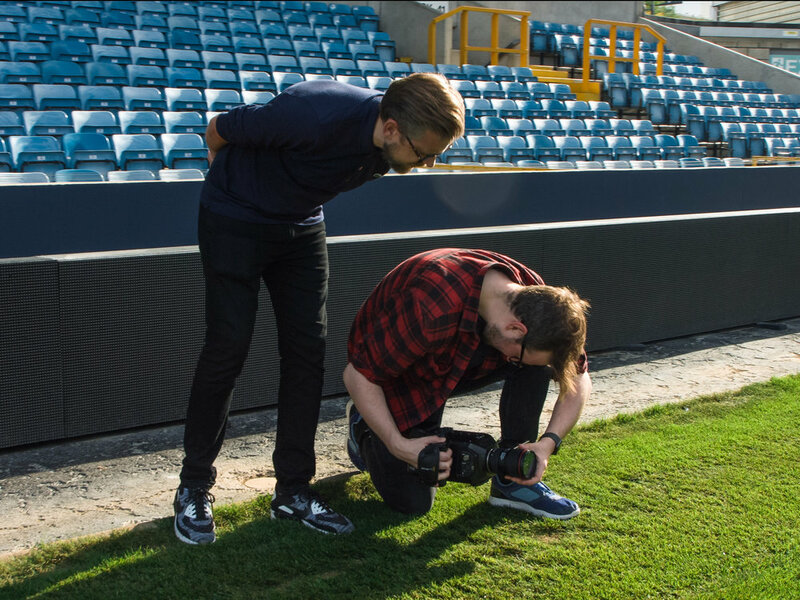 The aim of the finished film was to be gentle about the subject matter while still being attractive to a football fan base, capturing the calm feeling on a match day before the crowds of fans arrived and offering an insight on the preparations of the pitch. On Your Side focuses heavily on the supportive nature of the stadium support staff. Shot in south London at Millwall FC’s stadium “The Den”, the crew was given free rein of the ground. Two of the stadiums real groundsmen feature in the film in order to maintain an authentic and real feel. The groundsmen were gently directed as the crew followed them, capturing their day to day responsibilities. For flexibility, speed and cinematic value the crew used the DJI Ronin, a steady cam gamble which aided in adding a continued sense of motion through out the film. This was complemented by a second camera on a dolly track to capture close ups. With social media channels as well as stadium screens being the primary platforms for the finished video, extra focus was put on making sure that any action in the shot happened within safe areas so that footage didn’t have to be awkwardly cropped in post production. With viewers on social media platforms now commonly consuming video without sound, it was hugely important that the film was easily digestible with or without sound. With this in mind, well placed titles were integrated throughout the film being revealed by the groundsmen, fixed to pitchforks or hidden behind rolling footballs. The On Your Side film was released on World Mental Health Day across EFL and club social channels and was shared over 2,300 times with over 208,000 views in its first day live. Along side this, Our Design Agency also commissioned Lapse Film to make a behind the scenes film to showcase the work that had gone into the project. The behind the scenes video was shot along side the main film and used footage captured but the second camera when it wasn’t in use. It was delivered and released at the same time as the main film, encouraging viewers to find out more about how the film was made, driving even more interaction and engagement with the finished product.